It was only a few months ago when we were treated to two outstanding concerts by David Lowery’s “other” band Camper Van Beethoven. On Thursday night at Highline Ballroom, it was Cracker’s turn and they delivered a non stop two-hour set of material old and new that absolutely raged. On tour to support their excellent new CD Sunrise in the Land of Milk and Honey, the band is in a zone — tight and focused and with plenty of energy. While Milk and Honey was featured prominently in the setlist (8 songs), the extended set length allowed for literally all the Cracker classics to be performed, including “Teen Angst” “Eurotrash Girl” and the final encore of “Low”. We recorded this set from the optimal location in this venue, directly in front of the soundboard in the center. The four-microphone rig was used and the results are excellent. Enjoy! 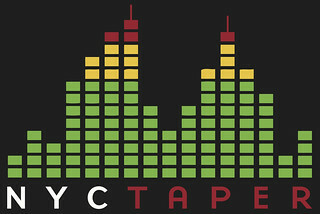 If you email nyctaper for access to this recording, we expect that you will PLEASE SUPPORT Cracker, visit their website, visit their MySpace page, and purchase their official releases directly from the Store at their website [here] or from the 429 Records website [here]. It was a great show. Thanks for preserving it for me. Now, I really must be off to the infirmary.